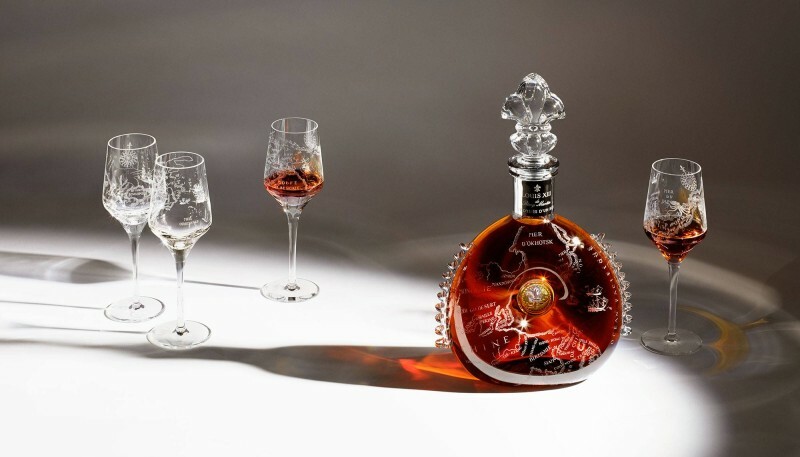 Cognac maker Remy Martin has collaborated with a trio of French luxury houses including Hermès, Puiforcat and Saint-Louis to create a luxury set featuring the Louis XIII that will be auctioned off in New York this fall. 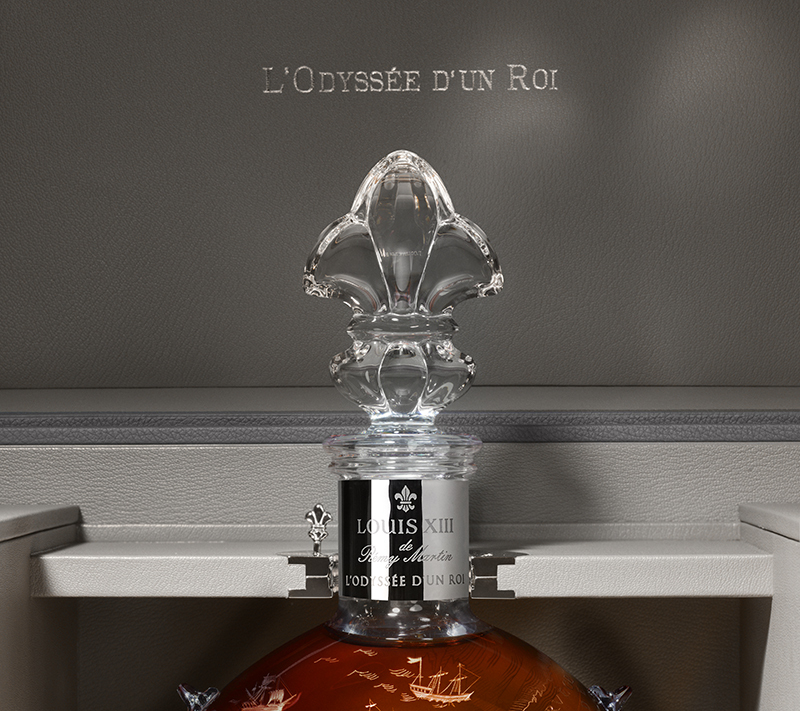 Called L’Odyssee d’un Roi (A King’s Odyssey), the bespoke trunk, hand-stitched by artisans at Hermès, holds a bottle of Louis XIII, a white gold pipette forged by silversmith Puiforcat, a crystal decanter, and four serving glasses that were mouth-blown, cut and engraved at the royal cristallerie Saint-Louis. 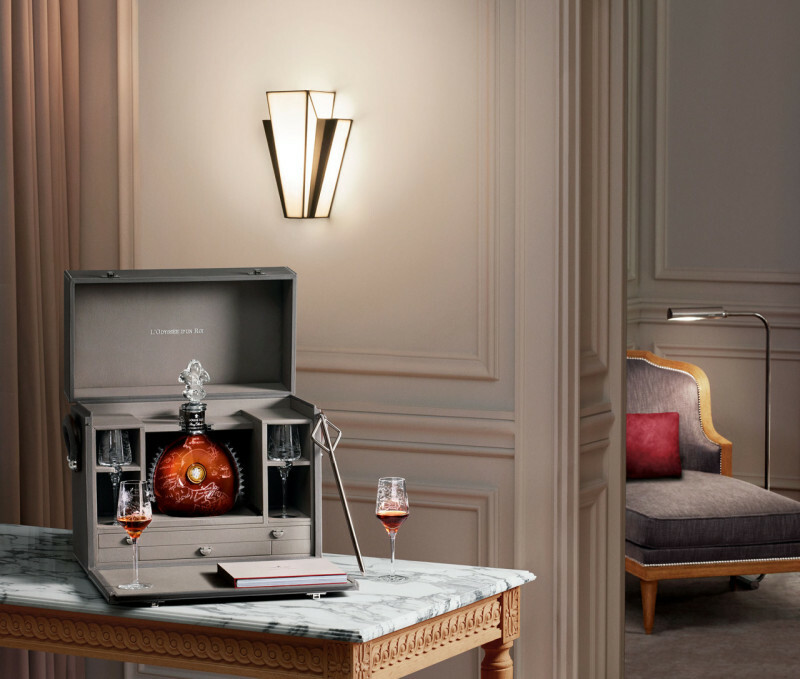 The set also includes a book chronicling the global journey of the cognac that boasts a history stretching back to the 1870s.Creating the cognac set required 50 artisans and 1,000 hours of labor. 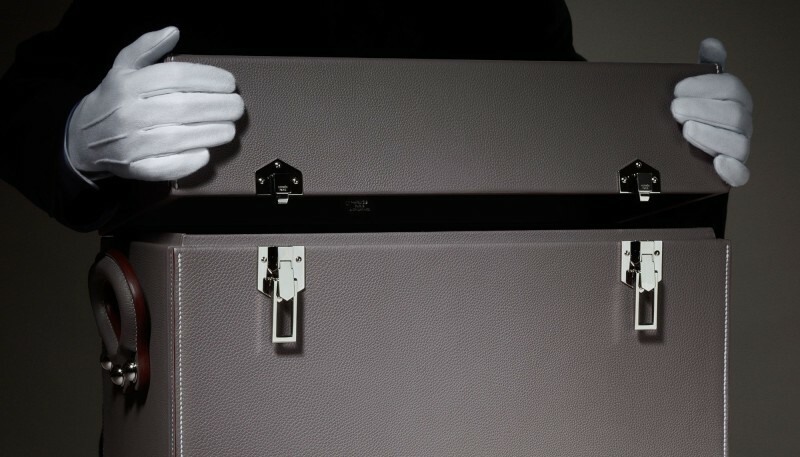 Only three sets have been created, each of which will be exhibited New York, Hong Kong and London before they’re auctioned off through Sotheby’s beginning in September. 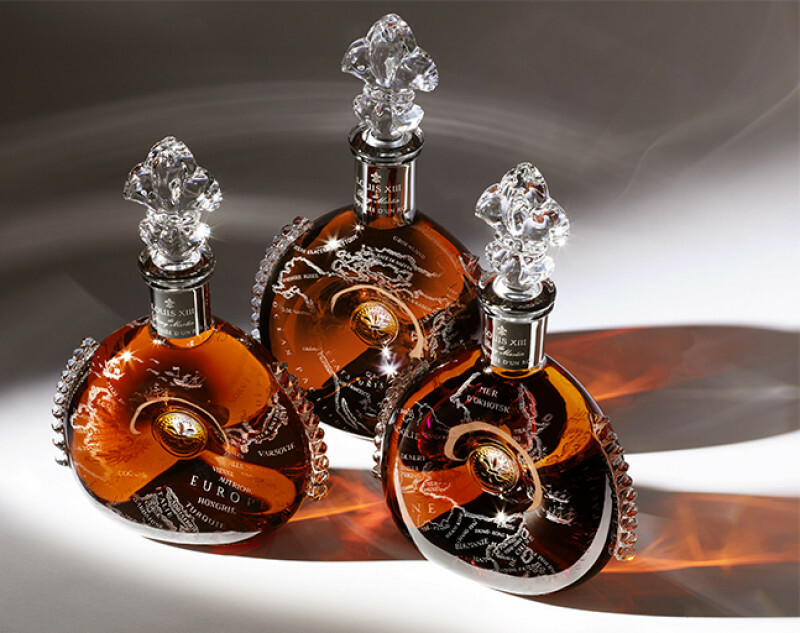 Louis XIII cognac was created in 1874. Each decanter takes four generations of cellar masters over 100 years to craft. The blend is said to evoke tasting notes and scents of myrrh, honey, immortelle, plum, honeysuckle, wood bark, leather and passion fruits.